live a purposeful masterful & abundant life. DESIGN YOUR DIRECTION: Work with me to uncover your Soul Purpose, your karmic lessons, and the true causes of your situation. We will design clear steps on the path to your destiny. EFFECTIVE TOOLS: Check out many courses – go at your own pace and learn to be more self-loving, intentional and multidimensionally conscious. Self-Mastery is a process based on self-responsibility and love. SERVE THE UNIVERSE: If you’re here, you’re a part of the Starseed Initiative. The Solar Council wants you to have a front row seat to the planetary events and have all the cosmic support you need! SELF-MASTERY: Understand “mechanics” of your consciousness, the Universe, and the ascension process, how its applicable to you and the planet as a whole, and how to join in co-creative integration of your Soul into matter. 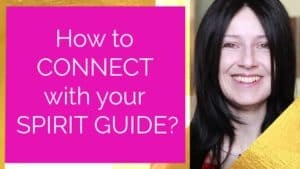 Born clairvoyant & conscious, I’ve been in telepathic communication with multidimensional intelligences my whole life – and now I can teach you how to access your own inner Soul Library! 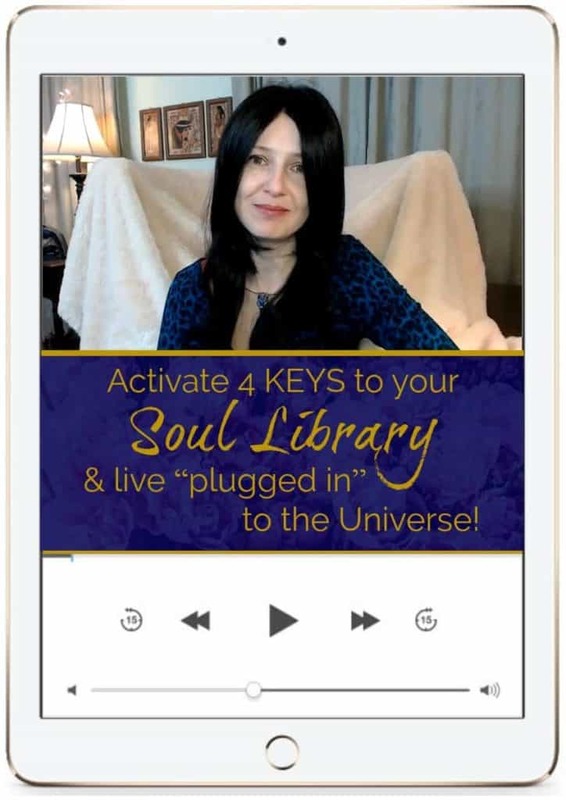 ♦ Experiential MEDITATION to ALIGN your 4 KEYS and OPEN your Soul Library today! 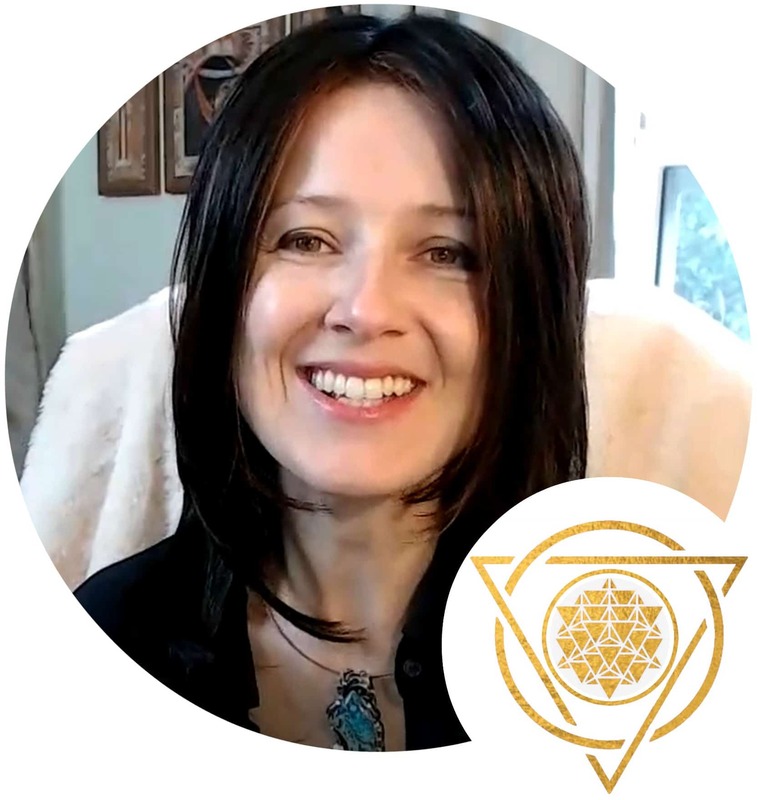 Born clairvoyant & conscious, I’ve been in telepathic communication with the Solar Council & multidimensional Guardians my whole life – and now I can teach you how to do it! Extended MEDITATION with the Solar Council, energy ACTIVATION to access YOUR own path to the Universal Intelligence! “Wow, this is such a great explanation of how to get knowledge from the universe! I get so overwhelmed usually but I can totally see my sabotage – and I now know what to do about it! Thank you so much, Eugenia” – Susan G.
“Eugenia, this is such a great class! I didn’t even know I have my own inner soul library and now I can actually pull information from it – planning to write a book this way! You are amazing and I love your relatable style of teaching. It helps me so much to see the examples you mention of what other people struggled with. This was sooo worth the money! !” – Judith M.
“OMG, now I know why I couldn’t do it before – I would start from scarcity – Eugenia, this is HUGE! Thank you so much for this information – I can see what I need to change. I did the meditation 4 times now and every time get more and more answers. Wow!” – Melissa T.
“This was so useful! Eugenia, I just have to drop you a note – loved all the explanations, your clarity and how well you laid out what I need and how I sabotage (I can now catch myself easily!) And I now also understand finally what your Transcension Gate is about – wow! I will join soon!” – Jason O’M. I am a Transcension Soul Strategist and a founder of the Transcension Gate. I have been born clairvoyant and in conscious telepathic communication with various multidimensional intelligences, which naturally led me to a life of service. I have been professionally teaching and applying Transcension Soul Strategy for over 25 years now. I use my gift of Clarity and Multidimensional understanding to guide people just like you in awakening to spiritual mastery, karmic issues cleanup, health, even finances and business strategies! I help you discover your Soul Purpose, own your worth so that you can feel enough and self-kind, and design clear steps on the path to your destiny that you are meant to live this lifetime. “I’ve had the privilege of working with Eugenia for a few years. She is a gentle and wise multidimensional guide. She has the rare gift of seeing beyond the illusions that keep us from being who we truly are. 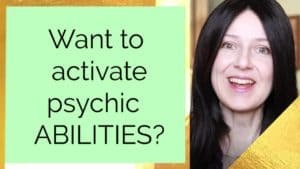 And with her rare abilities to see Higher Truth (with a capital T) and soul clarity, she can help you step fully into your personal power and highest potential. You’ll find that everything has meaning, and from this place of Truth, you can embrace your life fully and joyfully. I recommend Eugenia with all my heart and soul!” – Elari O. “I have worked with Eugenia for the past 11 years, and I am a much different, more grounded person today because of her guidance. Her knowledge is vast and her insights are keen. Eugenia has given me a new way of viewing the world, life events relationships, and my purpose. 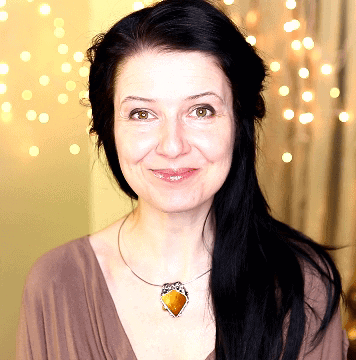 I highly recommend Eugenia to anyone who wants to feel more empowered or have a more positive impact in life.” – Cindy P.
“Eugenia is an insightful writer, wonderful teacher, gives great personal counsel. 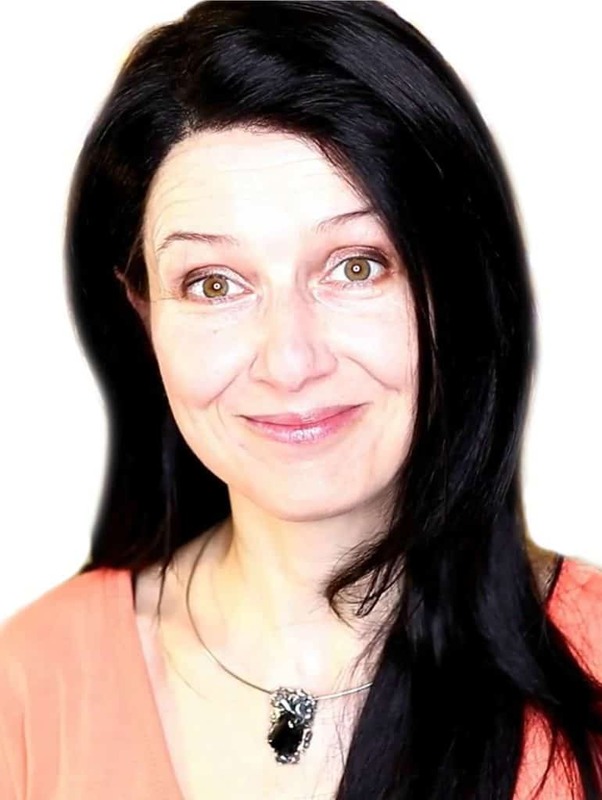 I have known Eugenia to take complicated subjects and break them down in a way that brings immediate understanding as to why and how… and what to do to change or integrate each situation. As a healer she was able to help my child overcome his learning disability. As a counselor she helped me understand how to overcome and move thru some personal situations. As an author she guides her readers thru understanding energy and how it works, past, and present …..and how to achieve an inspired life.” – Linda B. “Eugenia, you are amazing! I learn so much from your ability to expand and “be with” all these multidimensional energies! What a great capacity you hold! Your wisdom and Clarity helped me feel confident and so much more grounded in my life! I can’t believe how much better I feel! WOW!” -Alyson M.
Our planet is a multidimensional Simulation which currently exists in two timelines simultaneously. We are leaving the Lower 3D timeline of CONTROL, VICTIMNESS, FEARS, CRUELTY. Earth is expanding its range into the Higher 3D timeline, rejoining the galactic community of BALANCE, PEACE, EMPOWERMENT, and COOPERATION. This activates the paradigm shift in human collective consciousness – from fear to love. We are the avant-garde of this change and our job is to amplify the Ascension Timeline of the Higher 3D Earth by being CLEAR, PURPOSEFUL, and UNCONDITIONALLY LOVING. We are ALL ONE God Source! ♦ become CLEAR about your Soul path so that you never have to aimlessly wander again! ♦ become INTENTIONAL about your actions so that you feel IN CONTROL of your DESTINY. ♦ become an EMPOWERED SOVEREIGN AUTHORITY so that you are FREE FROM FEARS and NEGATIVE INFLUENCES. 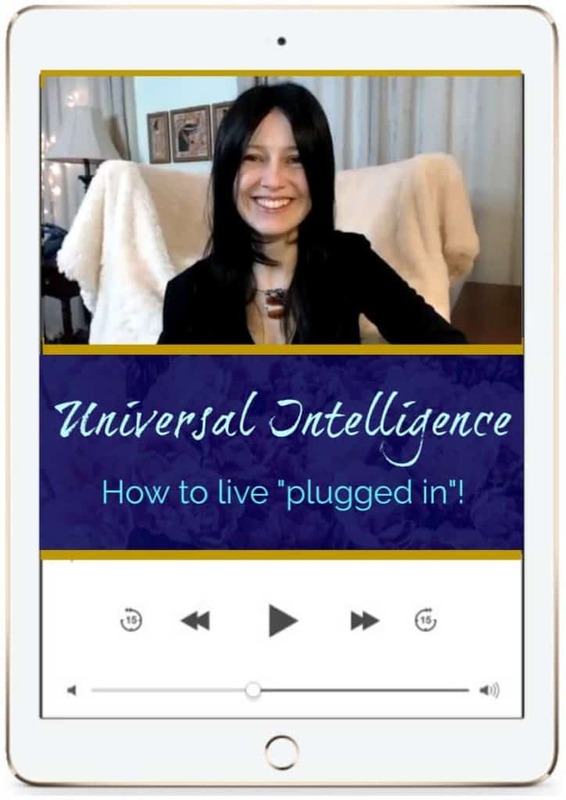 ♦ Become ALIGNED so that you harness Universal ABUNDANCE and JOY, and “live plugged in” to the Universal Intelligence. We are living in the time of a PROFOUND ENERGETIC TRANSFORMATION on all the frequency levels of the 3D Earth – from the quantum to the conceptual, crystalline and beyond. We, along with our planet, are going through the ASCENSION PROCESS into the frequency range of the higher dimensions of consciousness. On the personal level, this means physical, emotional, mental, psychological, and spiritual transformation for each of us. It comes with a range of experiences – from ecstatic awakening moments to uncomfortable transitional steps, which can be managed. I refer to these uncomfortable experiences as “ASCENSION SYMPTOMS”. 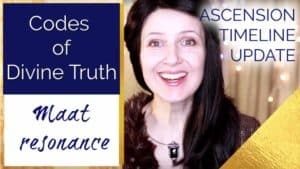 I find that most people experiencing these uncomfortable “ascension symptoms” tend to MISTAKE them for anything from an illness (physical or mental!) to possession by some dark entity! In reality most of the “ascension symptoms” result from our ATOMIC STRUCTURE HAVING DIFFICULTY ADJUSTING TO THE INCOMING LIGHT. 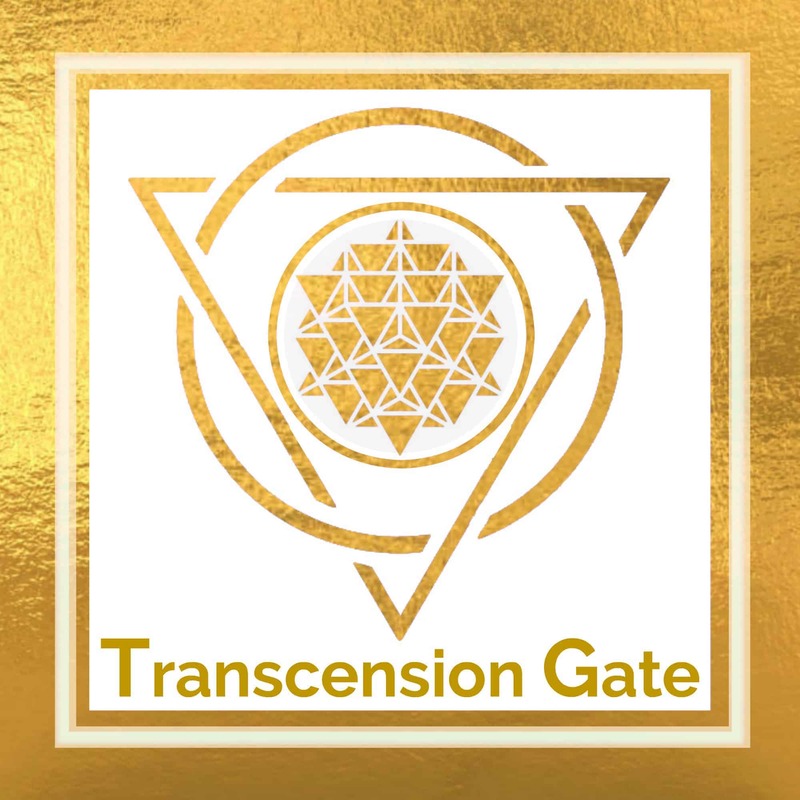 Inside the TRANSCENSION GATE MEMBERSHIP I offer mentoring on how to live through the ascension process, anchor transcension templates into your Light Body, and remain centered even when experiencing these uncomfortable “ascension symptoms”. It is essential to make sense of your current experiences and put them into the proper perspective for personal transformation. and become a stargate yourself. 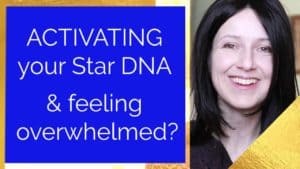 Go at your own pace, learn PRACTICAL STEPS for becoming CONSCIOUS, INTENTIONAL, and SELF-LOVING, integrate ENERGY TRANSMISSIONS, process fears, deal with your negative beliefs, clean up karmic patterns - all while being supported by the starbeings. Track monthly planetary FREQUENCY CHANGES progressing along the Ascension Stairway, JOIN the SOLAR COUNCIL in its harmonizing efforts, be directed to the most appropriate ENERGY ALIGNMENTS by easy-to-follow guided meditations, and find your own place within all this change. Access multidimensional Intelligences' TRANSMISSIONS, starbeings' GENEALOGIES, alien AGENDAS (positive and negative) on the planet right now, and briefings about the Earth's ascension beyond the limited control range of the Lower 3D and becoming a SYNTROPIC multidimensional Simulation. Will start your understanding of the MECHANICS OF ASCENSION, how its applicable to you and to the planet as a whole right now, and how to join in CO-CREATIVE INTEGRATION of your Soul into matter - in order to transmute it (BIOLOGICAL ascension). and fully STEP INTO YOUR SOUL’S MISSION on Earth. 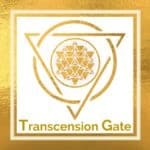 TRANSCENSION GATE is co-created by the SOLAR COUNCIL, the GUARDIAN FOUNDER RACES, and the dedicated Starseeds and Foreruners. Transcension means “moving beyond dualistic perception”. TRANSCENSION GATE project facilitates SYNTHROPIC ACTIVATION of this Solar System and our planet, and trains you to FIND & USE your SOUL SUPERPOWERS to authentically express your brilliance. We don’t always have the time or patience to read through complex material – which makes this course very handy! Listen to the entire Ascension Library in the MP3 format! RELAX, SIT BACK, and LISTEN – deepen your understanding of your spiritual journey, clarify beliefs, learn about the ascension science. Listen to the entire Ascension Library in the MP3 format! We don’t always have the time or patience to read through complex material – which makes this course very handy! There is NO place for judgment in Transcension Gate. We are one Universal Mind, exploring itself through different individual experiences. Each Soul is a unique perceptional focal point within the law of One Source. This applies to all species – human (Earthling Soul Group), starseed (Souls which originated not on Earth), all animals and plants on our planet – and ALL life in the Universe – we are all One. In the Lower 3D, human species have been living inside the selfish tribal morphogenic fields for thousands of years. Currently we are transitioning into the Higher 3D, applying the altruistic (service oriented) 5D morphogenic templates. This Universe is a 12D system of interconnected ranges of consciousness that we refer to as “DIMENSIONS”. They all are governed by the LAW OF ONE – the Universal principal of Oneness and Connectedness. In the Law of One God Source it is understood that we all are FACETS OF THE SAME GOD SOURCE, thus have EQUAL VALUE. When this wisdom is fully integrated by the Soul and its avatar (incarnational vehicle inside a Simulation), the entity proceeds with the expression of SERVICE TO ALL. The non-physical multidimentional Intelligences that I am in conscious telepathic contact with my whole life, the Solar Council, and the Kadishtu Guardians – all stand for RESPECT and NON-JUDGMENT of life. Inside the TRANSCENSION GATE MEMBERSHIP you will be supported by the beings in service to us, and by your own energy guides. We also offer intricate mentoring in how you can be of service in a healthy (non-sacrificial) way! So we can talk about this stuff!! The information offered here in Transcension Gate is a composite of the direct personal knowledge that Eugenia Oganova had incarnated with in this lifetime, and countless direct telepathic communications with the Solar Council Kadishtu beings and many other multidimensional intelligences. The information is ongoing and is constantly being updated. Eugenia’s Soul lineage has a direct link to the Sirian High Council and many other galactic groups, but as a human person she is not a member of any councils. Eugenia is NOT affiliated with or a follower/member of any established religious doctrine, any pre-set ascension modality, Law of One doctrine, any human/non-human claiming to be a Teacher within a “guru” model, and she is NOT a New Age Channeler (someone allowing entities to talk through her body). In the event that you choose to apply any of the information presented on this site for yourself, the result is your sole responsibility (Eugenia assumes no responsibility for your actions).